Welcome to The Yatzer Round-up: a new, irregular column presenting a handpicked selection of news, products, editorials, events and other design-related stories, straight from Yatzer's inbox! Do you want to be part of The Round-up? Then share your projects with us by following our submission guidelines. Russian Avant Garde Desktop Organiser. Photo courtesy 52 Factory. 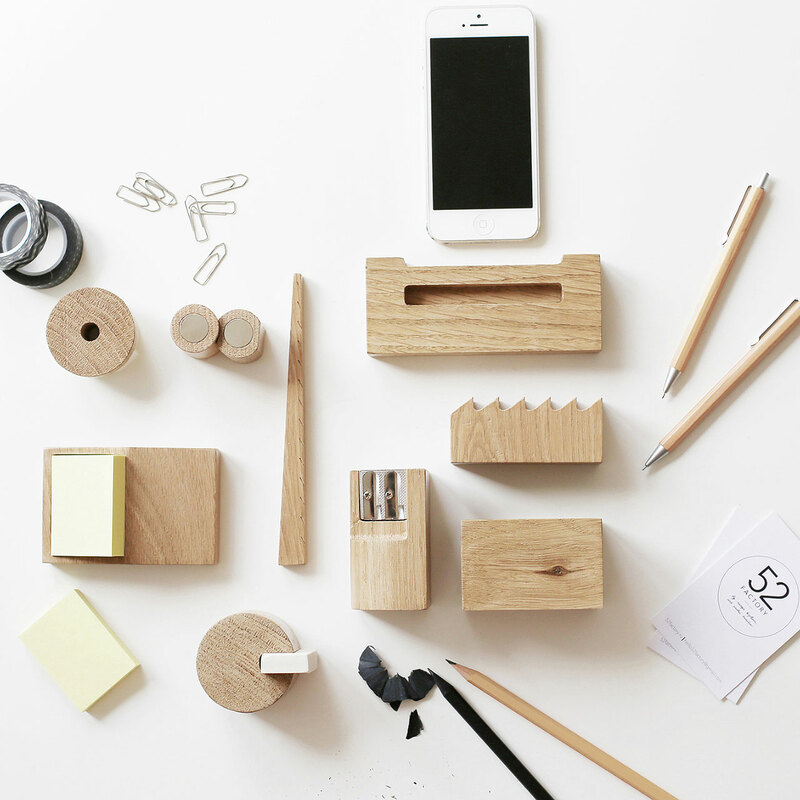 This whimsical desktop set by Sasha Braulov and Nasya Kopteva (52 Factory) is made of solid-oak cut-outs sourced from carpenters’ workshops. Each item features a shape from an iconic Russian architecture landmark, such as the Melnikov House, the Bakhmetevsky Bus Garage, the Communication Industry Workers' Palace of Culture and more. Spiros Halaris for VARIETY magazine. 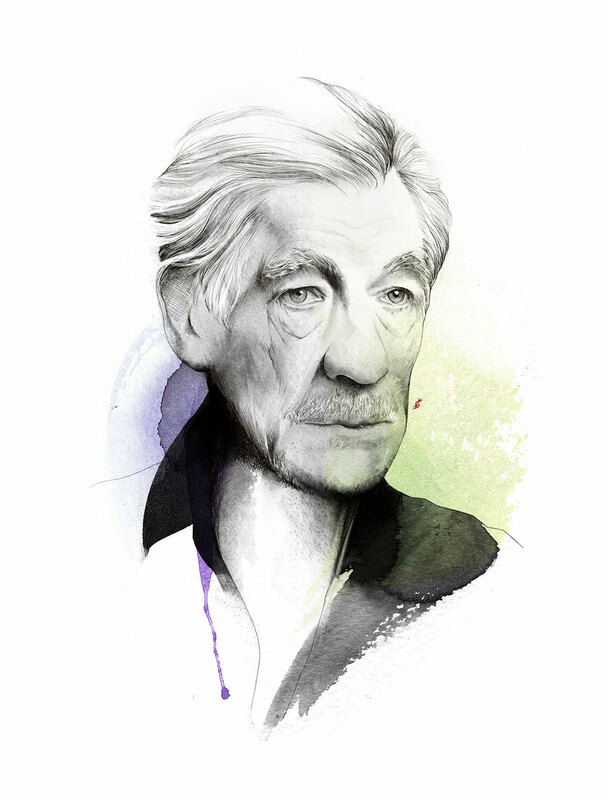 Portrait of Sir Ian McKellen. Photo courtesy the artist. Variety Magazine invited illustrator Spiros Halaris to create a series of illustration portraits for their Contenters edition issues. The portraits were created using mixed media, from watercolour to digital drawing. General Bucket Bowl & Tray from Good Thing. Photo by Charlie Schuck. 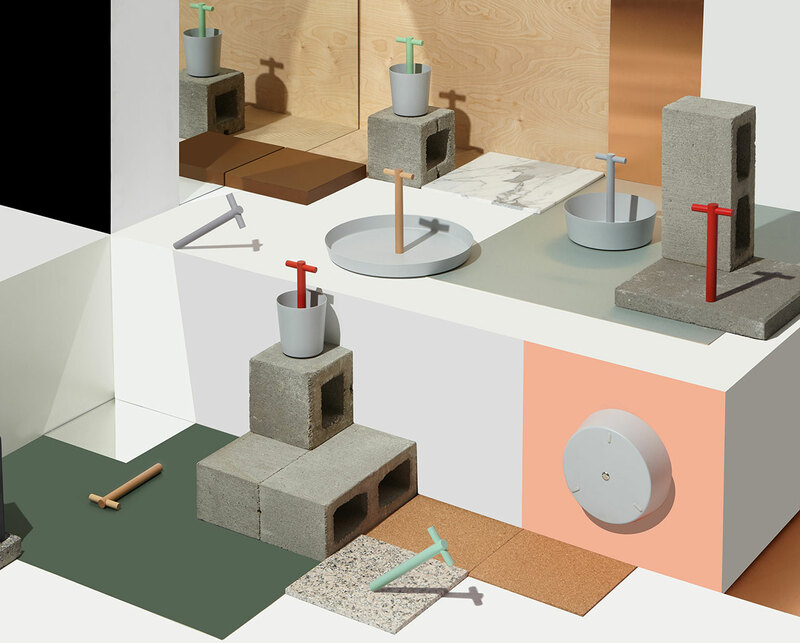 New York-based product manufacturer Good Thing has launched a playful photo campaign, full of bright colours, textural contrasts and stark lighting. The editorial was directed by Charlie Schuck. Slim Bookend from Good Thing. Photo by Charlie Schuck. Iconic Furniture snapshot. Photo courtesy LLI Design. How well do you know your chair history? London-based LLI Design studio created Iconic Furniture, an online portfolio of illustrations presenting signature designs from the past 100 years or so. The Eameses would have been proud. Design Origin: France book cover. Photo courtesy viction:ary. Published by viction:ary, the 256-page volume Design Origin: France is a dazzling display of contemporary French creativity. 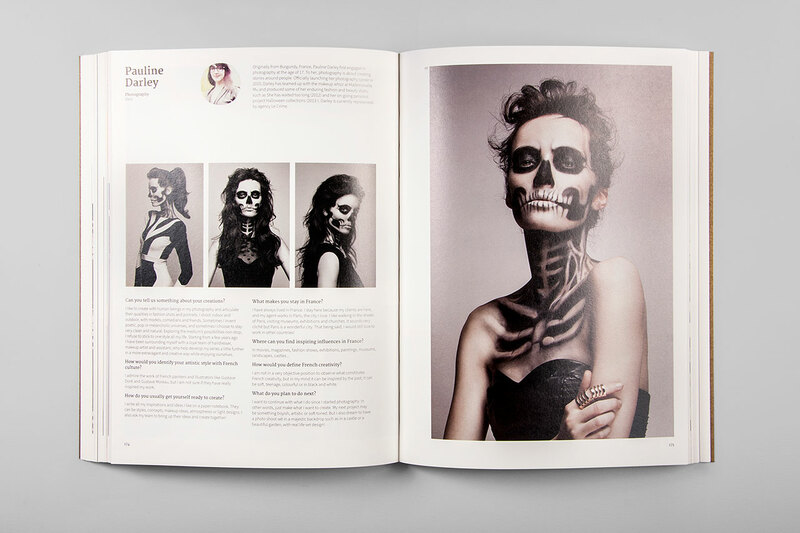 From fashion to architecture and music to sports, the book features no less than 40 creatives working now in France for local and international clients. Design Origin: France book spread. Photo courtesy viction:ary. Matt W. Moore for Core Deco. Photo courtesy the artist. 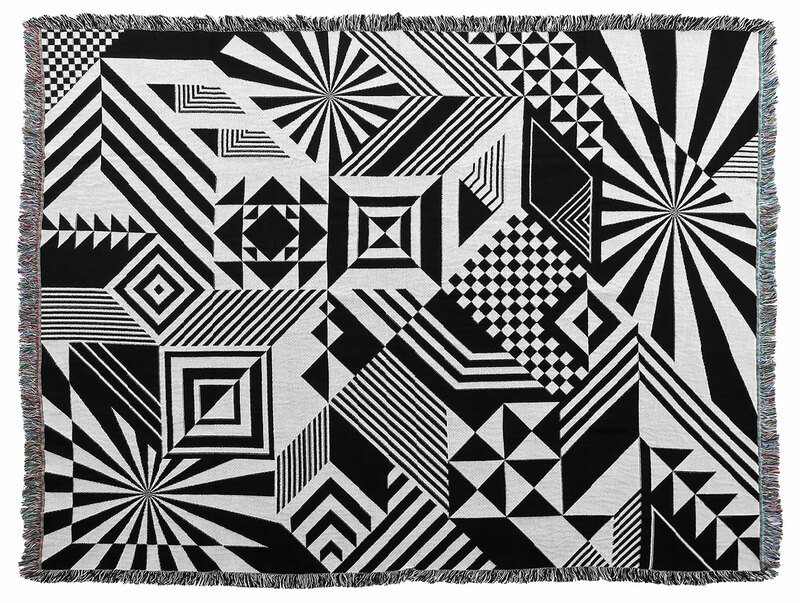 Visual artist Matt W. Moore designed a collection of ten loom-woven throws for Core Deco. 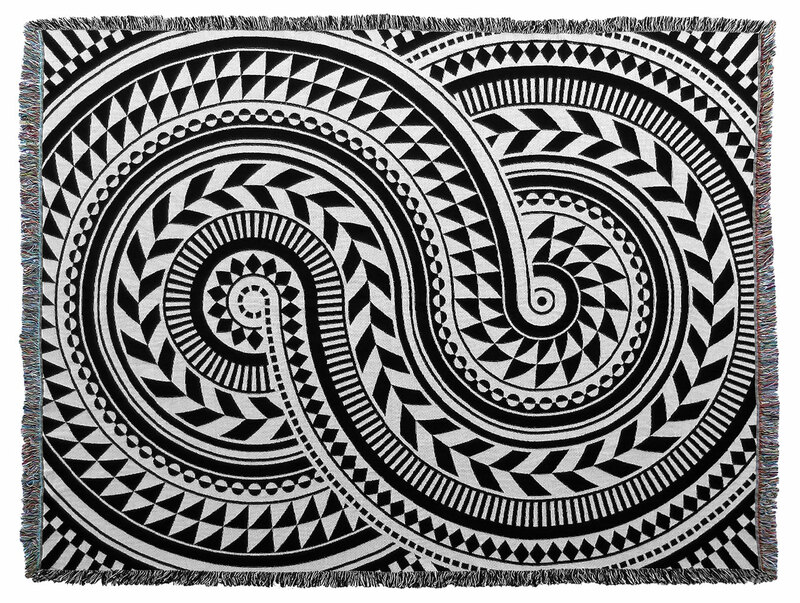 These black-and-white op-geo artworks are a typical example of the artist’s signature Vectorfunk style. Klein Home Collection 01 by Klein Agency. Photo © Klein Agency. Belgium-based Los Angelino-Slovenian couple Jon and Masa Kleinhample, a.k.a. 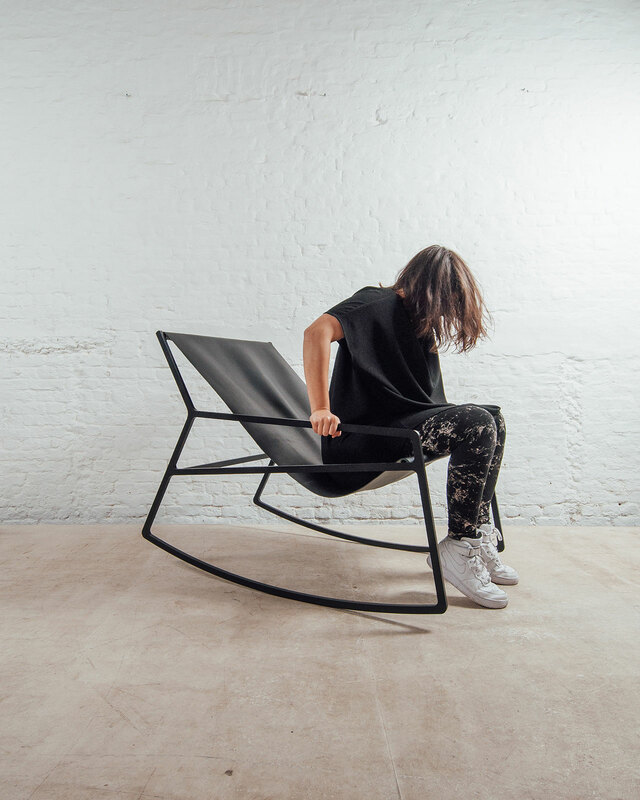 klein agency, has just launched its first collection of home furniture. The collection brings together the precision and elegance of laser-cut steel with the imperfect beauty of leather, concrete and other materials. Click here for more. Cord Mirror by Roberto Paoli. Photo © Deknudt Mirrors. 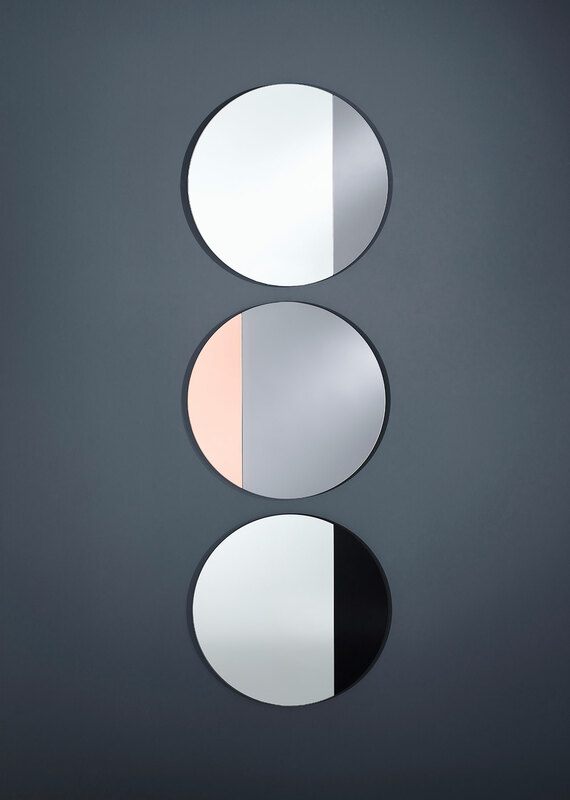 Designed by Italian architect and designer Roberto Paoli for Deknudt Mirrors, the Cord Mirror was inspired by the geometric work of Johannes Kepler. Each circular mirror consists of two parts divided by a "chord", which is the name of any line connecting two points on a circle without passing through its centre. TANGO X2 by Paul Matter. Photo courtesy Paul Matter. These elegant articulated ceiling lights are part of Tango, the aptly-named debut collection of light design studio Paul Matter. Inspired by vintage design elements, the collection includes various flexible lighting designs and a set of sculptural candle holders in shiny metal. 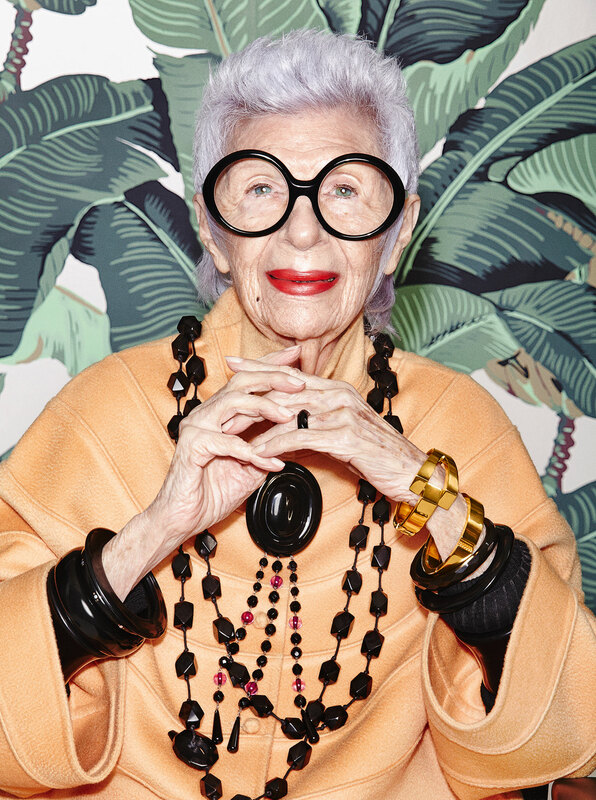 Fashion and interior-design legend Iris Apfel has launched a collection of jewellery that combine her joyful, larger-than-life aesthetics with cutting-edge technology. The WiseWear line of accessories enables the wearer to receive texts, emails and other alerts in real time, as well as monitor their daily activities through a dedicated smartphone app. Sign up to receive Yatzer's newsletter and get our latest stories twice a month delivered directly to your mailbox. This post contains adult material and may not be suitable for people under legal age.